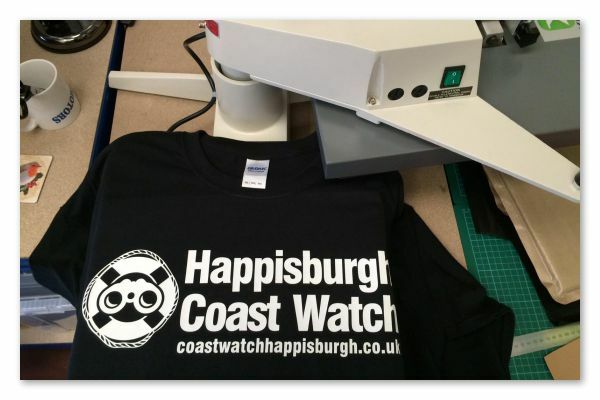 We now offer high quality t shirt printing, polo's, hoodies, high-viz vests and fleeces to name but a few. We can add your company logo, image or slogan to 1 or 1000 garments at a cost that is kind on the wallet and with a long lasting finished look that will keep you coming back for more. 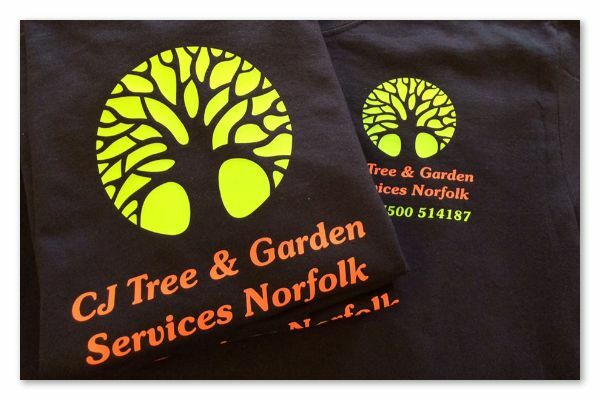 Many businesses in and around Norwich, Norfolk realise it's important to add their company image to employee work wear and clothing, it not only promotes a sense of belonging to the company but also promotes brand awareness and a sense of professionalism from a customers perspective. 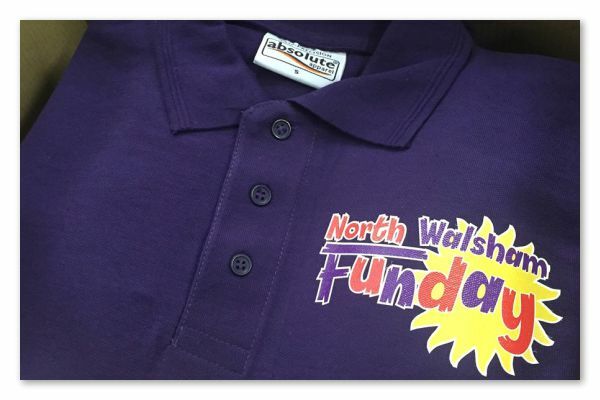 Custom polo and t shirt printing at North Walsham Signs near Norwich can be ordered from as little as 1 shirt right up into the hundreds. There's no limit to the amount of custom clothing we can produce not to mention the different styles of decoration we can add to each garment. From simple single colour vinyl text stating your business name and telephone number to complex full colour logo designs we can add any image including photographs to any many different types of clothing. Our printed t-shirts are also ideal for hen and stag nights, parties or just for fun. We only use high quality Fruit of the Lloom, Gildan or Stedman shirts as these offer the best in quality and feel. The materials we use to heat apply onto the garments is a high quality PVC vinyl transfer and can last as long as embroidery in many cases, some 40+ washes! 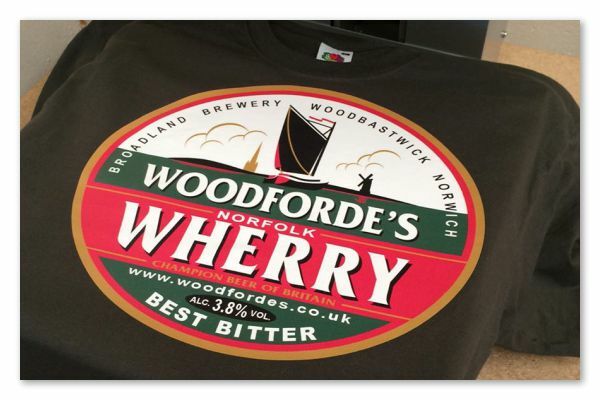 So if you're in need of some printed clothing for your local Norfolk based business or for personal use then please feel free to drop us a line on 01692 402423 or by sending us an email. In most cases we can supply a quotation straight away and we pride ourselves at being able to process bespoke orders quickly and efficiently.